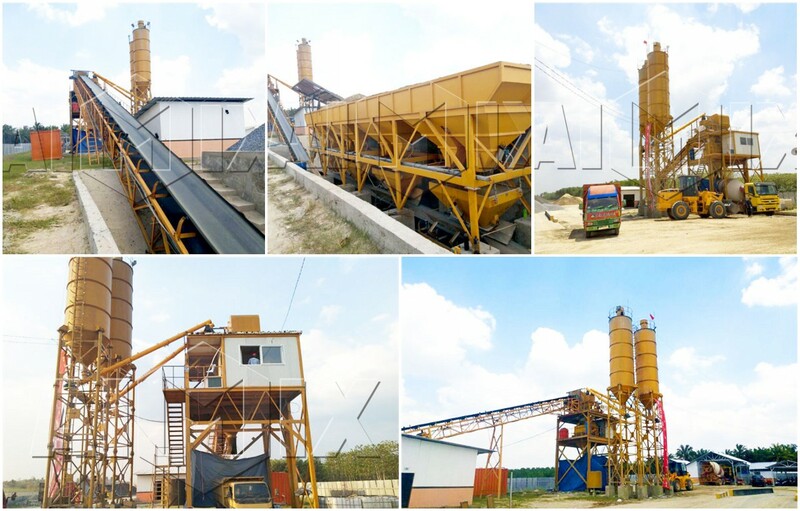 Stationary concrete batching plant is suitable for construction project of expressway, bridge, power station and damming, etc. 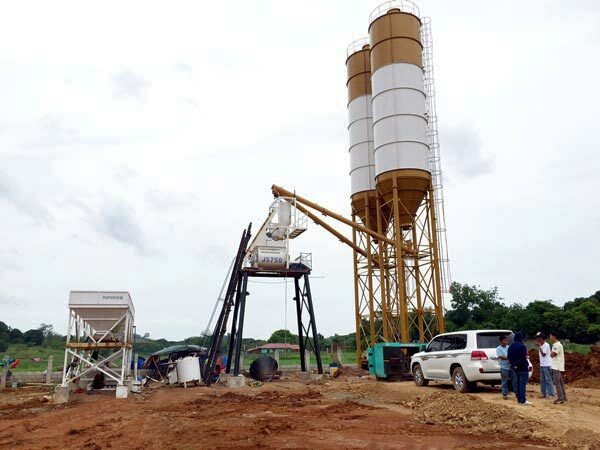 It is fixed on the ground, which is difficult to disassemble, and will cost much, so if your project period is long, you can choose a stationary concrete batching plant for sale. 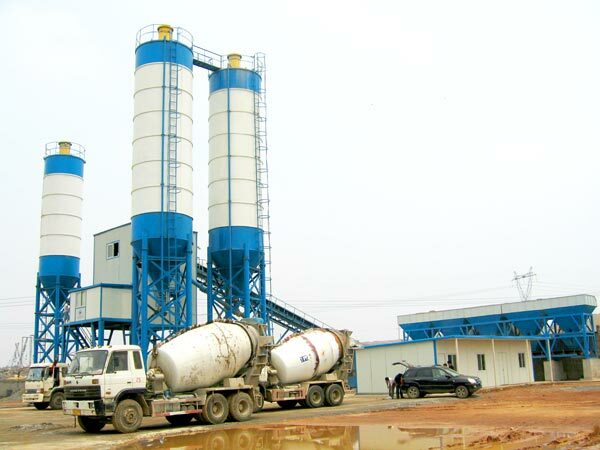 As for which type is your ideal choice, you need to tell us amount of concrete needed per day, we can calculate which capacity is best fit your project. 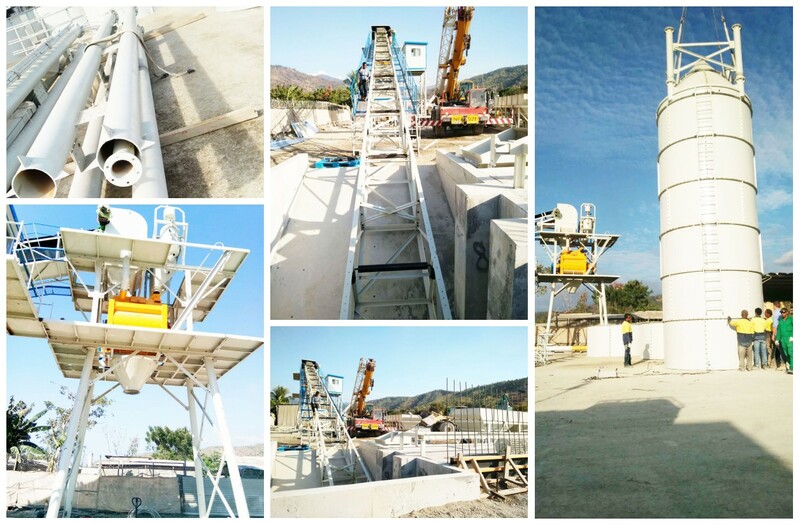 We have skip hoist concrete batching plant and belt conveyor concrete batching plant, as for their difference, you can read ahead and choose a most appropriate concrete plant for your project. 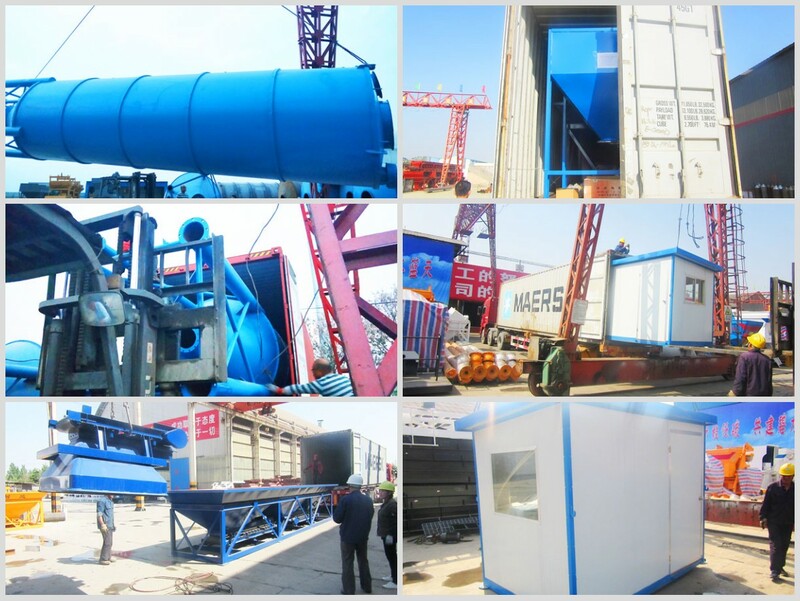 We mainly have skip hoist stationary batching plants of HZS25, HZS35, HZS50 and HZS75. We have belt conveyor type stationary concrete plants of HZS60, HZS90, HZS120, HZS180 and HZS240. 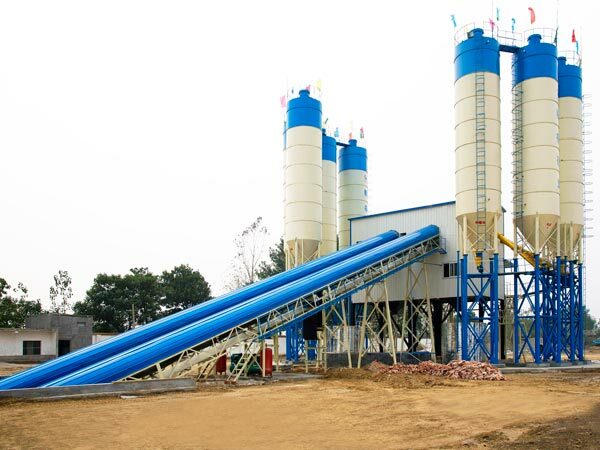 All of these stationary concrete plants are equipped with JS series twin shaft concrete mixer, advanced shaft-end seal technology will save residue efficiently, lower your project cost. 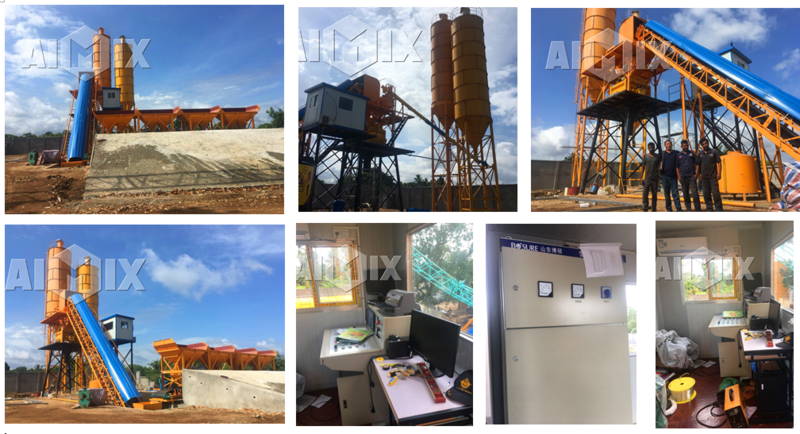 We can supply you bolted type cement silo, welded type cement silo, horizontal cement silo, etc, in addition these fixed configuration, you need to prepare some auxiliary equipment, you can produce concrete smoothly. Such as, wheel loader, concrete pump, concrete mixer truck, all of these auxiliary machine should be in strict accordance with stationary batch plant you chose. 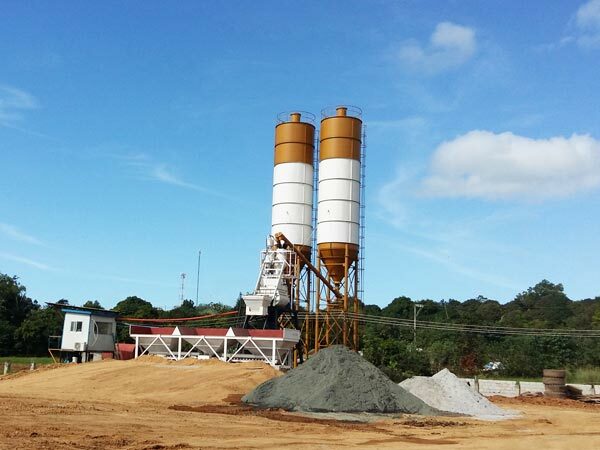 Then the fixed belt concrete batching plant can produce concrete much more efficiently. 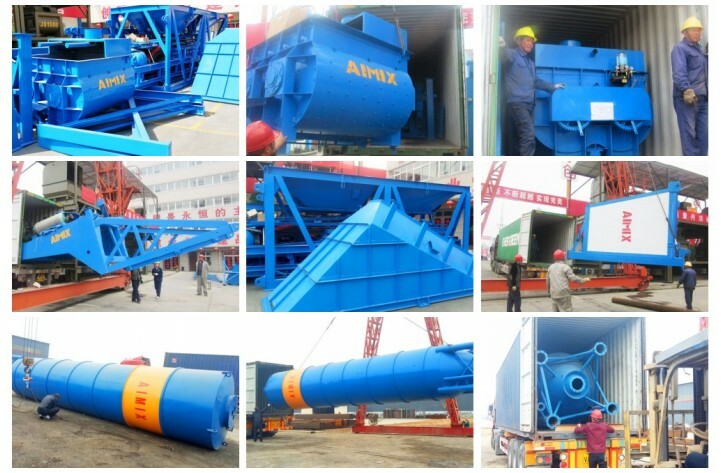 What is most important, you need to see whether these auxiliary equipment matches concrete plant, in case there will be waste. Besides, if your project is not very big, you can choose a small type stationary concrete batching plant, it is very profitable. 1. 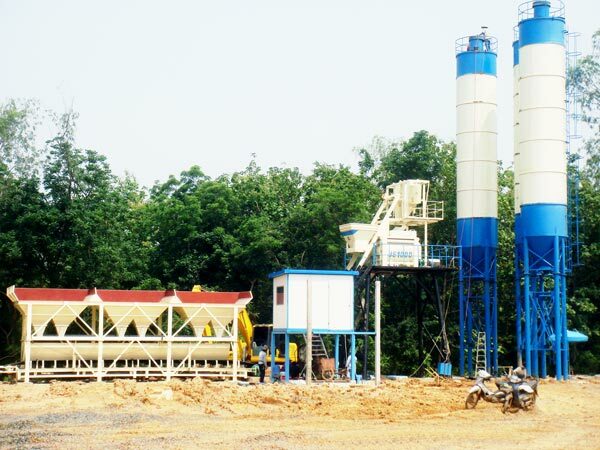 Before you buying a stationary concrete batching plant for sale, we will send you price list and detailed specifications of stationary concrete batching plant, which is beneficial for you to choose a right capacity, if you don’t know how to choose, we will give you professional advice, as long as you leave us your project condition. 2. After our stationary batching plant arrived your country, we will send our engineer and technician there, supply you training for installation, debug and maintenance. Perfect service ensure your normal use. 3. We set up spare parts supply warehouse, any need, we will arrange shipment within 48 hours. What are you waiting for? 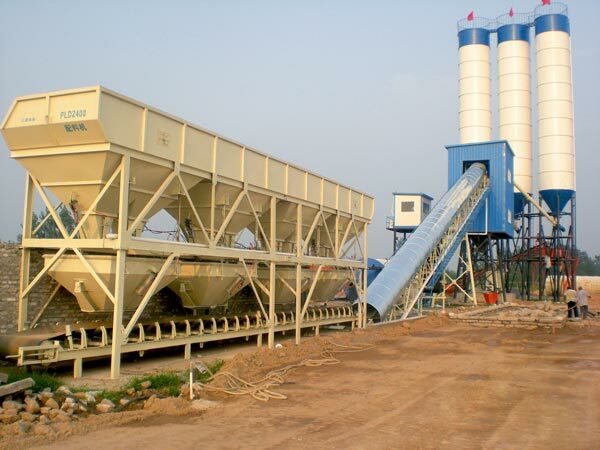 Come on for latest price of stationary concrete batching plant!